Swablu (in Japanese: チルット “Tyltto”) is a dual Normal-Flying type Pokémon. It is termed the “Cotton-Bird” Pokémon. 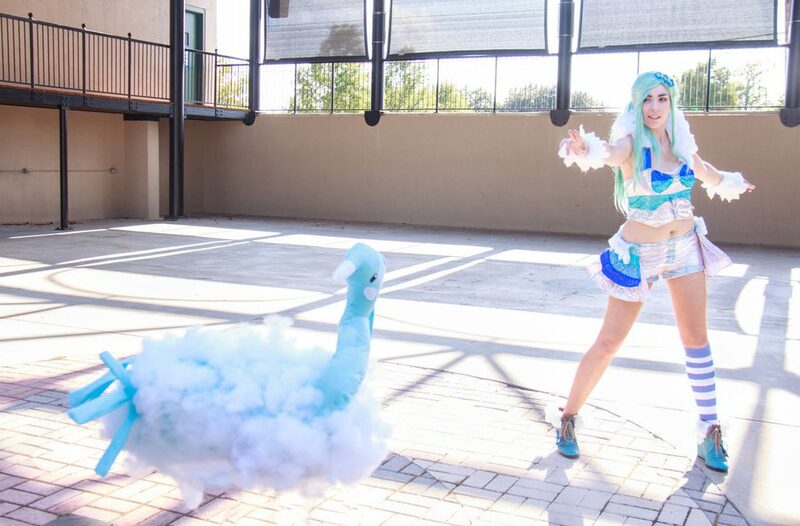 Altaria can Mega Evolve into Mega Altaria using the Altarianite. The “blu” in Sawblu coordinates with its “sky-blue” color. This sky-blu color is sometimes called “Tar Heel blue” as this shade of light blue is the official color of The University of North Carolina. Thus I have named them “Tar Heel” and “Go Blu”. 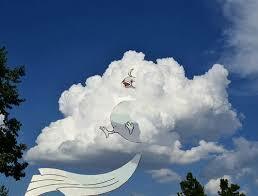 I sometimes have my head in the clouds. Female Swablu could be aptly named “Carolina”. Perhaps even “NC” after the famous UNC logo. Perhaps “Kitty Hawk” would be a good name for a flying type, as it was the North Carolina beach (seen above) where the Wright Brothers first flew! 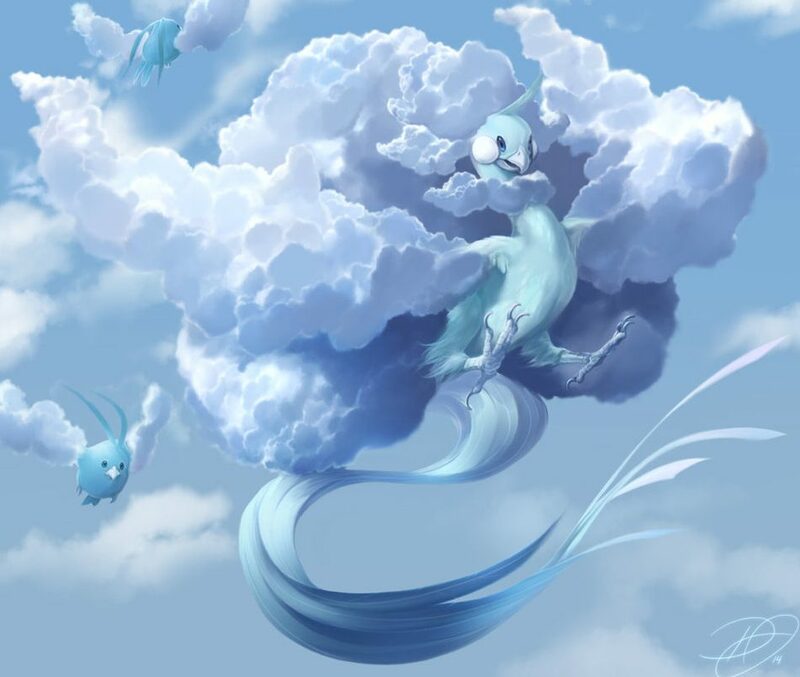 In general I like to name Swablu and Altaria after cloud types, such as “Cumulus”, “Cirrus”, “Stratus”, “Nimbus”, “Nimbostratus”, etc. The mega-evolved Altaria looks like an imposing Cumulonimbus (which just makes it in at twelve letters.) Perhaps you could think of other sky/storm related names – “Hailbringer” for example. The Japanese-game name Tyltalis is appropriate for a dragon-type. It comes from the old name “Tyl”. This was the traditional name for Epsilon Draconis, a star in the constellation of Draco the Dragon. Thus, you could use the nickname “Epsilon” if you are an “astronomy-geek”! 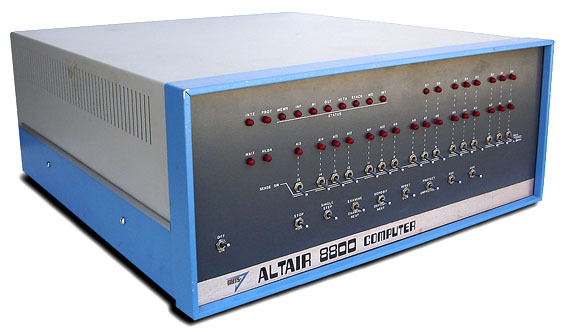 If you are more of a “computer-geek”, then you might prefer the name “Altair 8800”, which was released in 1975 as (ahem … cough) … the “first personal computer”. Yes, it was a personal computer. Even though it did not have a monitor, keyboard, mouse, operating system, or software. … what good was it for then? Humming? Maybe try the name “I-Cloud” if you like Apple products. 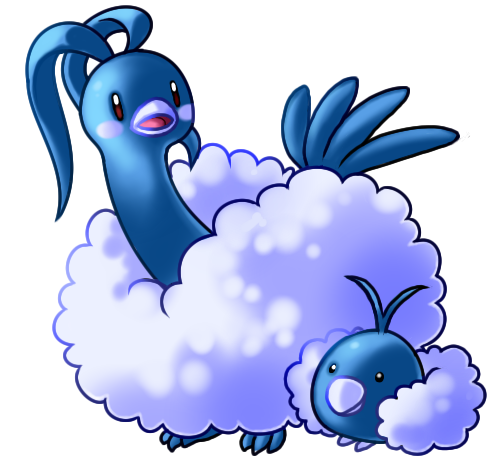 Names I liked from users on the Name Rater site are Azure, Cloud 9, Cloud Nine, Nubes Arem for Altaria and Q-Tip for Swablu. I also noticed that several cloud names were also submitted … to be insulted … you know how the name rater is! What is the name of your Tar-Heel blue-color Pokémon? 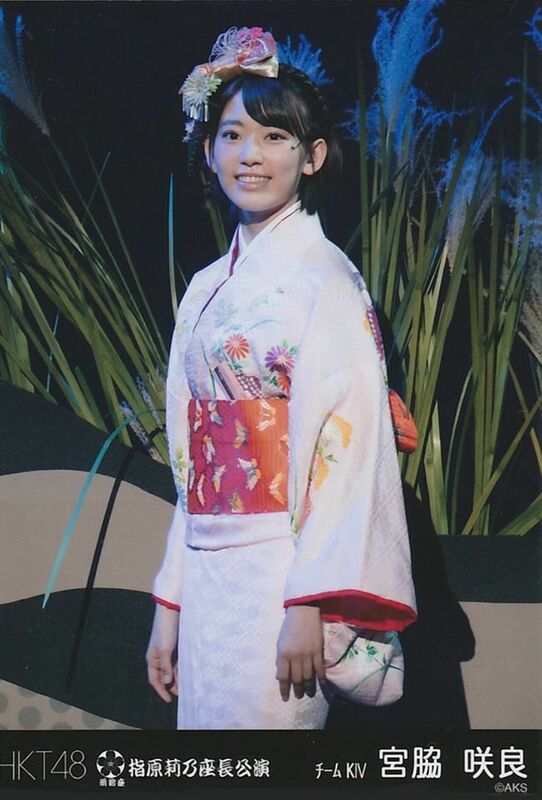 Please comment!